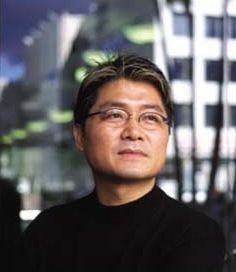 Director Kang Je-gyu holds the distinction of being one of the contributory factors to the inception of the Korean Wave. While The Gingko Bed (은행나무 침대) was his directorial debut, it was 1999s Shiri (쉬리) that catapulted him into the limelight. The narrative, which was one of the first to reverse the common stereotype of ‘evil’ North Koreans into more fully developed roles, ensured that Shiri was the highest grossing film of the year. In addition, it is the only film from the 1990s that is within the top twenty highest grossing films in Korea of all time. Kang Je-gyu followed this with his war epic Taegukgi [Brotherhood] (태극기 휘날리며). The film employed camera techniques used in Saving Private Ryan to capture the battle sequences in a more thrilling and intense fashion. Furthermore, the distinctions between North and South, capitalist and communist, were blurred, again emphasising the commonality between between the people. In 2011 My Way (마이 웨이), Kang Je-gyu’s most ambitious project, was released. My Way explored the role of oriental soldiers in World War II throughout Europe, as well as the tumultuous relationship between Korea and Japan through the main protagonists.